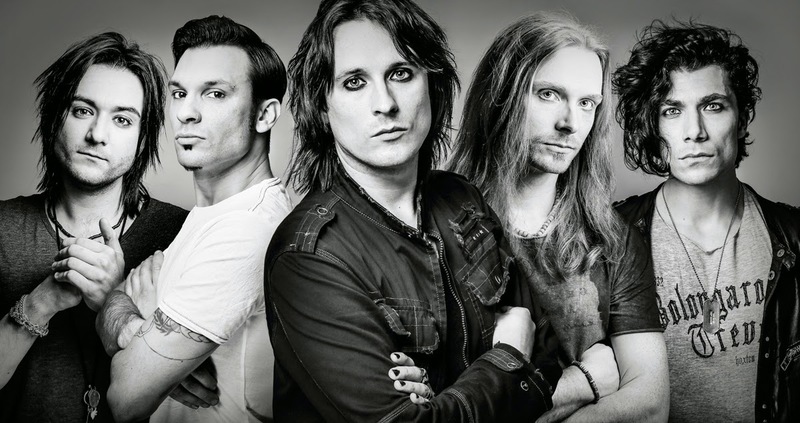 Rock & Metal 4 You: CD-Review: Night By Night - "NxN"
The newcomers Night By Night from London are around since 2008 and since that time they were busy with touring (in support of Jettblack, Heaven’s Basement, Alannah Myles, Acey Slade, The Quireboys and so on). So I was wondering why we had to wait so long for the debut album "NxN", because touring without a record is a bit difficult I think. But you know "Good things come to those who wait" and so "NxN" will hit the stores on July 14th. 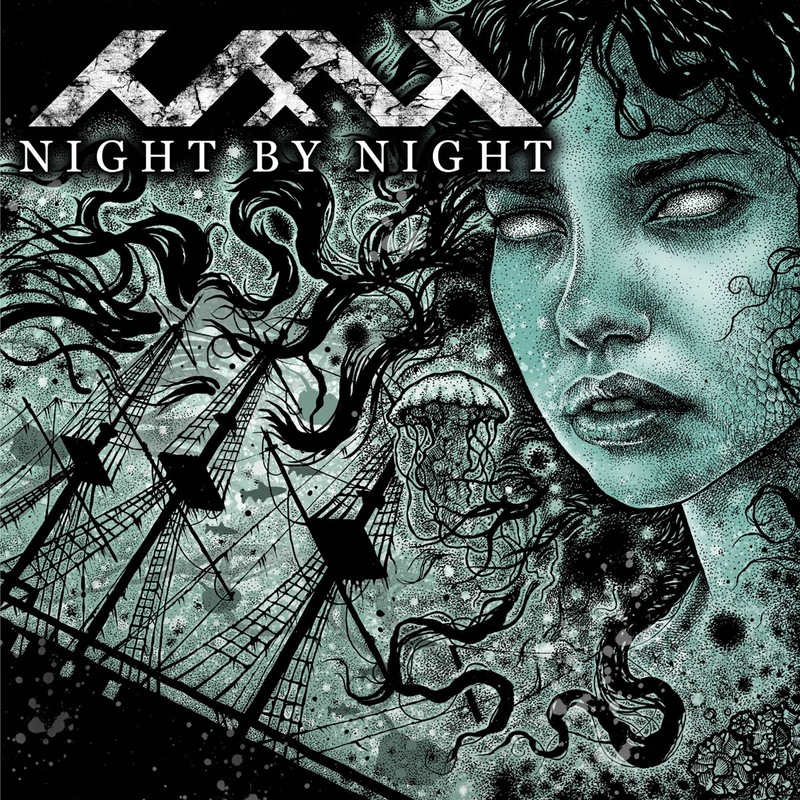 Night By Night are one of those bands, who try to combine 80's driven Hard Rock with modern elements. The difficulty for those bands is always to find the right balance between these two things and to me Night By Night follow more this modern approach. For sure with melody and cool riffs and harmonies, but at the end of the day their music reminds me much more at the colleagues of Alter Bridge (maybe because of the Mix, handled by John Mitchell, who already worked with AB) than Def Leppard or Whitesnake. Speaking about Def Leppard: Rick Savage called Night By Night "one of the best young bands out there today" and statements like that raise huge expectations. As far as I could read Night By Night got good responses to their debut and yes I have to say for a debut album it is a strong effort, but to me it is not the perfect fusion between 80's rock and modern rock. It's a very modern sounding record which leads to a more sterile sound at times. What I love about 80's rock music are the huge hooks and the passionate vocals. Night By Night make use of both things, but not in a perfect way. What I mean is Henry Rundell has a pretty cool voice that fits perfectly to the music and he sings really good but I never had the feeling that his singing touches me or would give me goosebumps. And same goes to the melodies/hooks. Most of them are pretty good to rock out, but I missed some really haunting melodies and special moments. Tracks like "If Only" or "The Moment" sound a bit too generic to me. But "NxN" has also its strengths. Tracks like "It's Not Faith", "Time To Escape", "A Thousend Lies" and "Holding Onto Holding On" are great examples for Night By Night's skills when it comes to songwriting. Here classic anthemic sing-along choruses and virtuos guitar solos collide with a fresh sound and you really feel how the guys play their asses off to deliver you the best musical experience possible. Also the production is crystal clear and punchy. So in the end you can't blame Night By Night for something, because they did their homework very well without making many mistakes. As always it's just a matter of taste and my personal problem with this album is that I missed the one spark that would light the fire in me. So what's left is a very solid debut album all the way. 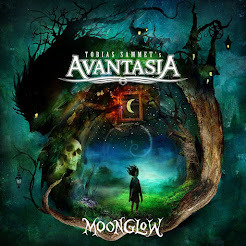 People who like the "next generation" of Melodic Hard Rock and who aren't afraid of a modern approach should give this album a chance. If the band can manage it to put more emotion into their sound a bright future lies ahead.